1. China is building a brand new city twice the size of Manhattan. In a bold move to tackle overcrowding in Beijing, China is building a whole new “green, modern and liveable” city called Xiongan , 100km southwest of the capital. While the initial phase will be double the size of Manhattan, it is ultimately expected to sprawl 20 times that size to an area of 2,000 sq km , more than twice as big as New York City or Singapore. Since China expects to have 200 cities with a population of over 1 million people by 2025, authorities are launching ambitious initiatives to improve their residents' quality of life. Beijing is spending $1.3 billion to convert its 70,000-car taxi fleet to electric power , and this March closed its last coal-fired power station , becoming the first city in China to be coal-free for heating and electricity. 2. 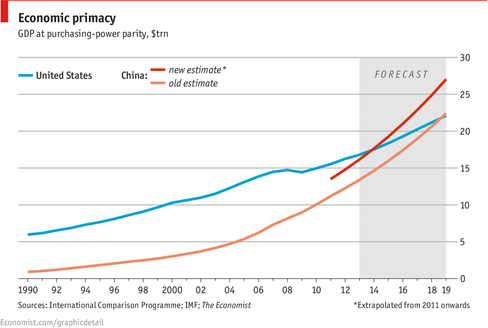 China is now the world’s second largest economy - and the largest if measured in PPP terms. With a value of $11 trillion, it represents 14.8% of global GDP. In terms of Purchasing Power Parity (PPP), a measure which adjusts a country’s wealth based on what people can afford to buy, China has already overtaken the United States to claim the top spot. The fact that the world reached its UN millennium development goal of halving extreme poverty was largely driven by China, which accounted for more than three quarters of global poverty reduction between 1990 and 2005. Similarly, this fed into the ballooning of the Asian middle class, narrowing inequality between countries . 3. In China you can scan a QI code to rent an umbrella . The sharing economy is a major trend, with the shift to borrowing rather than buying expected to account for 10% of China’s economy by 2020 . Consumers can rent anything from cement mixers to basketballs to umbrellas, while the bike-sharing sector is in high gear. Based on smartphone apps which let people leave bikes anywhere rather than in limited racks, the country’s two market leaders, Ofo and Mobike, have 6 million weekly users between them. Cyclists locate a bike with GPS, scan a QI code and hop on. Even though vandalism and theft have put a stick in the spokes, Ofo only launched two years ago and is already worth around $2 billion . 4. China doesn’t just have unicorns. It has ‘decacorns’. China’s tech start-up scene is frisky: the country now boasts at least 100 unicorns – private companies with a $1 billion valuation - and eight decacorns , valued at over $10 billion. These include Ali Baba’s Ant Financial, ride-sharing giant Didi Chuxing, smartphone-maker Xiaomi and Tencent Music. The combined net worth of these 108 companies is around US$435 billion, nearly the size of the Belgian economy – prompting some fears of a potential bubble . Meanwhile Tencent became Asia’s most valuable public company in September, with a valuation at the time of $255 billion. 5. China invests more each year in renewable power than any other country on earth . It’s already the world’s biggest generator of solar power, doubling its output in 2016. This year, China cancelled plans to build 100 coal-fired power stations and switched on the world’s largest floating solar farm near the city of Huainan. President Xi Jinping is a vocal supporter of the Paris climate change treaty. Indeed, cuts in fossil fuel use by China and India will outweigh the impact of the United States’ decision to pull out of the treaty. While a world leader in clean energy, China’s rapid industrialization has caused serious problems. Alongside air pollution, one of China’s most critical environmental challenges is water security. According to some estimates, 80% of all groundwater is unfit for human consumption – and 70% is so polluted it’s dangerous to touch. One response has been to invest $80 billion in three mega canal projects transporting the vital resource from the relatively water-rich south to major conurbations in the north, east and west. 6. 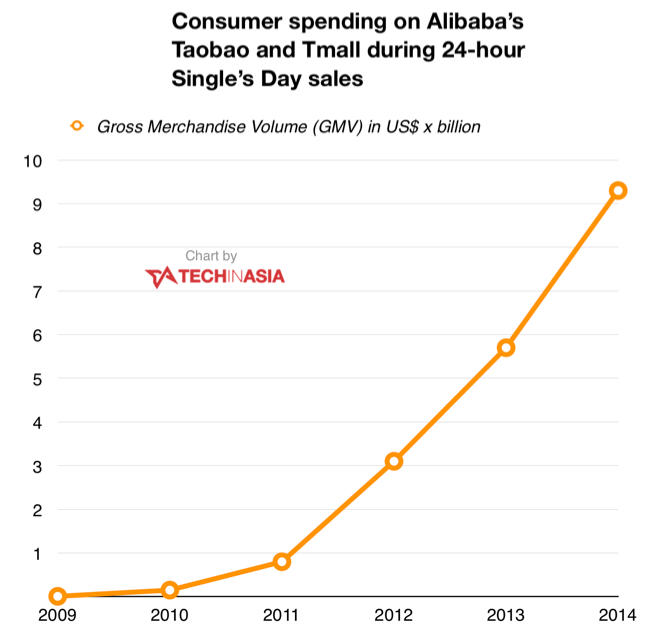 China’s online shopping frenzy is bigger than Black Friday and Cyber Monday combined . November 11 , known as Singles’ Day, is a major holiday which comes with a big surge in online shopping. In 2016, $1 billion-worth of orders was placed in the first five minutes, and the total trade volume of the day was more than $17 billion. The holiday started as an anti-Valentine’s Day joke in a country with nearly 200 million single people. Known as ‘bare sticks holiday’, 11/11 is one-on-one-on-one-on-one, a day when singles buy themselves a gift rather than waiting for the desultory stuffed toy or bouquet. 7. China has over 1,000 “Taobao” villages. Mobile money is huge in China, from online shopping to financial services to entrepreneurship. In rural areas, more than 1,000 “Taobao” villages – named after Alibaba’s shopping site – have sprung up, helping to lure some young graduates back from the cities. A “Taobao Village” is defined by Alibaba as one where over 10% of households run online stores, and where e-commerce revenues exceed 10 million RMB (roughly $1.6 million) per year. 8. China is on track to become the world’s biggest filer of patents within two years. Far from the ‘Made in China’ cliché of the world’s workshop, China is now a hub of home-grown innovation, with explosive growth in intellectual property. In 2016, the number of international patent filings lodged with the World Intellectual Property Organization rose 45% to 43,000 – more than any other country except Japan or the US, which China is set to overtake if current trends continue. Artificial Intelligence (AI) is a leading area of research, with China University of Science and Technology (USTC) in Hefei city opening the first national laboratory dedicated to creating brain-like artificial intelligence . China has also built the world’s most powerful supercomputer . 9. China is building a new Silk Road. The vast One Belt, One Road initiative builds two new trade corridors - one overland, the other by sea – to connect China with its neighbours in the west: Central Asia, the Middle East and Europe. China has already committed $1 trillion to the project, which reaches a market of over 3 billion people and is a lynchpin in its vision of globalization. In fact, China is forecast to overtake the US as the world's dominant economic power by 2030, based on share of global GDP, trade and exports. 10. Chinese science fiction author Hao Jingfang just won a prestigious international prize. An economic researcher by day, Hao Jingfang scooped a Hugo award for Folding Beijing , a dystopian view of a city split into three separate social classes who live on different layers and are awake at different times. It captures real-world concerns about inequality in a country that has experienced a dizzying economic and social transition after years of communism.